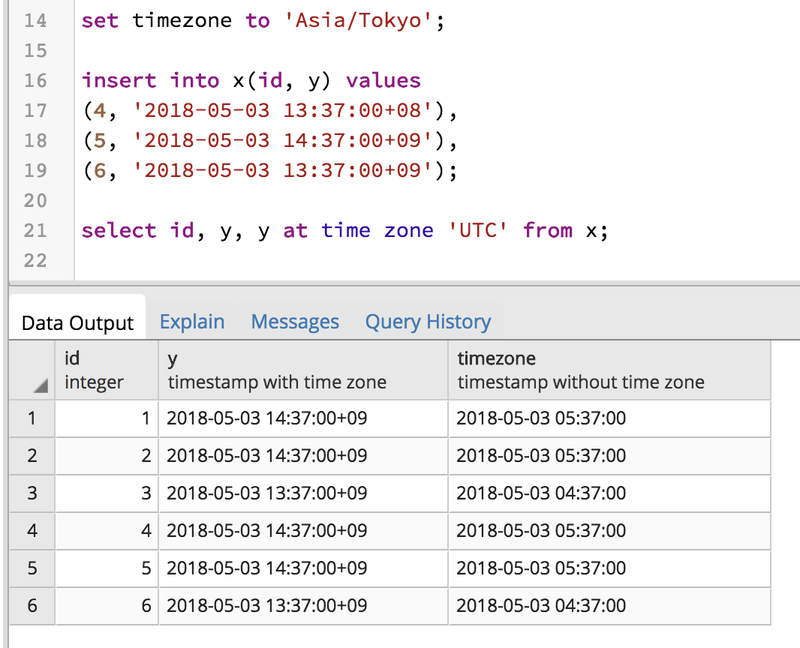 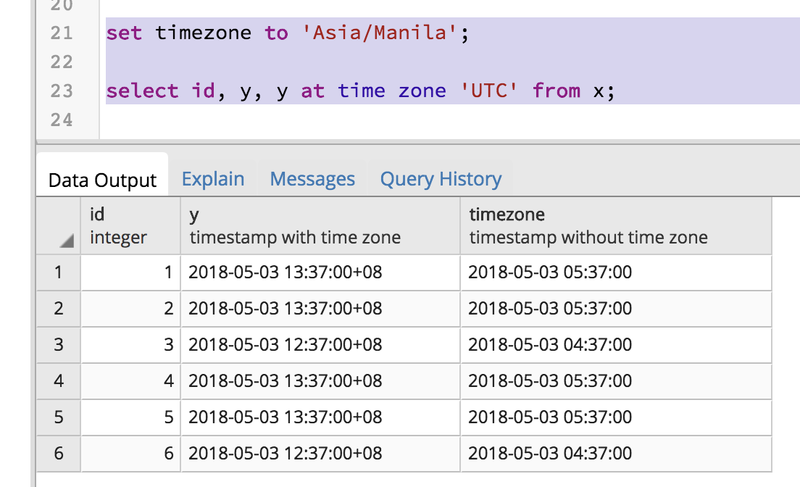 There's really no type of timestamp with time zone with Postgres. 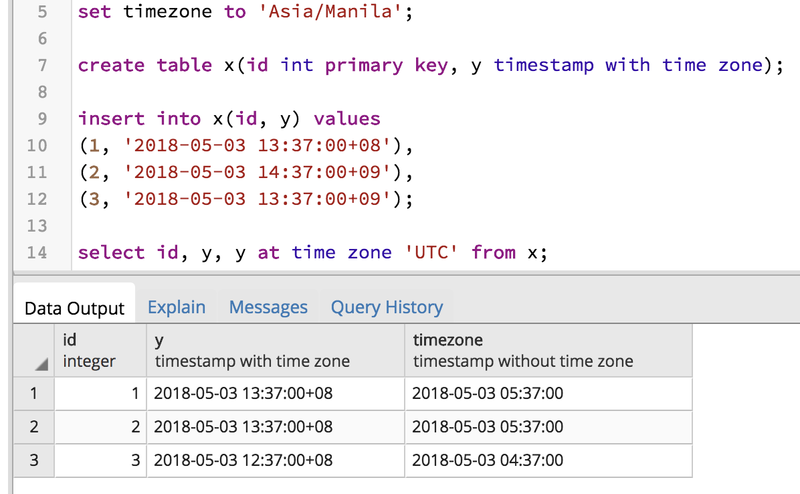 Time zone is not stored, everything is stored as UTC. The time zone is only used for presentation purposes.